Fantastic home on one of a kind huge premium lot in desirable Joshua Creek. This home is beautifully landscaped outside with a patterned concrete walkway and driveway with room for two parked cars. 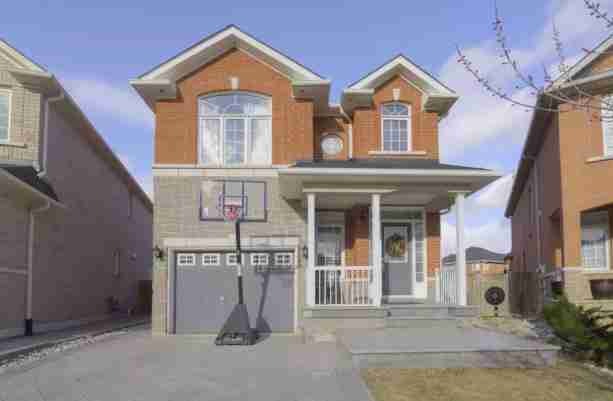 The foyer opens up to a family friendly open concept main floor. A very functional kitchen includes newer Caesarstone countertops and stainless steel appliances. The kitchen is open to a large breakfast area with a walkout to the lovely backyard. The sun filled family room features hardwood floors and a beautiful gas fireplace. Main floor laundry finishes off the main floor. The second level has a large master bedroom overlooking the backyard with newly renovated master ensuite and large walk-in closet. The three additional bedrooms all with large windows share one main second floor bathroom. The professionally finished basement has been recently renovated creating one large recreation room with built-in cabinets, electric fireplace and custom built bar. The backyard is the real highlight of this home being a massive pie shape with a two tiered deck and separate stone fire area. Located within a top school district, minutes from shopping, parks and all major highways! Offers to be presented on Wednesday February 15th at 5:00pm, please register by 4:00pm. The sellers will not review any pre-emptive offers.